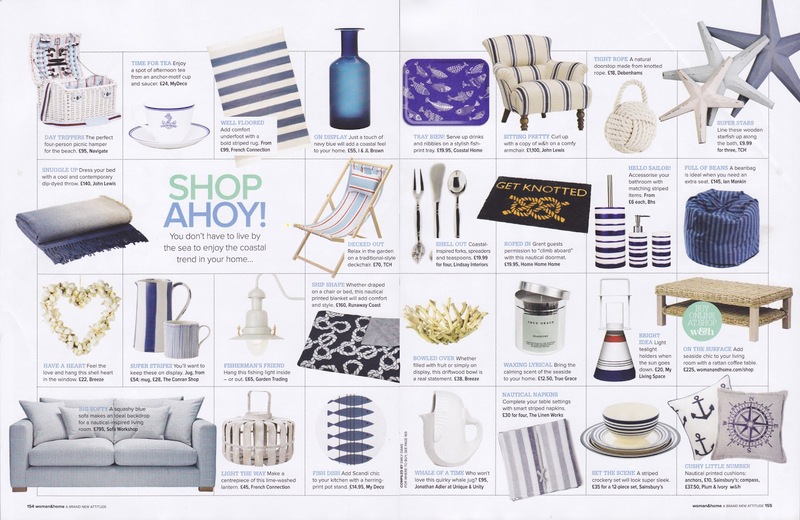 Press often escapes me and here is one that nearly got away - the Alabasta Blue Fish 43x33cm tray is tucked into a coastal themed interiors shopping page in last month's Woman and Home magazine. This time it's being promoted by Coastal Home who also got another of my trays in the press - see this previous post. 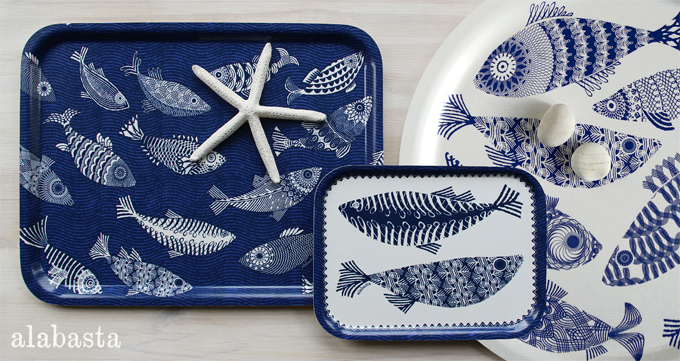 They've got the Blue Fish trays in three sizes as well as the 11cm mini tray coaster in stock. Thanks, Woman and Home magazine and Coastal Home!